I'll admit that while Surfacing was slow going and a tad mundane by Atwood standards, this is one of those books that I appreciated more after I finished it and gave it some thought. Surfacing is Atwood's second novel, a mystery and physiological thriller of sorts, one that examines the paranoia, displacement and weaknesses that result from isolation and fear. Our unnamed narrator ventures back to her birthplace, a remote island near Quebec, with her boyfriend and a married couple to search for her missing father whom everyone believes to be dead. What ensues is a story of one woman's regression into a fragmented self and her struggle to uncover her true identity. 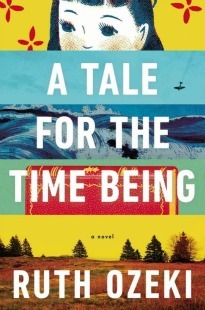 Descriptions of rural Canada and it's industrialization and commercialization parallel the decline of our unnamed narrator's sanity in a way that makes the setting seem like a character in itself. Per usual Atwood, the book is occupied with feminist themes; how our bodies and our gender confine us and create boundaries. Surfacing also explores how our past continually permeates our present and how our memory of the past can dilute and corrupt over time, allowing our subconscious to create alternate memories and emotions. I'm making it a personal goal to read all of Atwood's published fiction, and this marks my seventh (of thirteen). I'm not rushing myself, because I don't want it to be over. If you are interested in reading Atwood, I wouldn't suggest starting with this one. I'd recommend Cat's Eye, The Handmaids Tale or Oryx and Crake over Surfacing. The thing that bothered me most about the book is that even there was a lot going on, the majority of the time I was reading it I felt like nothing ever happened. Again, this is one of those instances when I enjoyed the book more after thinking about it than I did when I was actually reading it. I'm trying to remembered what my original thoughts were about this book the first time I read it. Atwood has been my female literary crush ever since I read The Handmaid's Tale as a teenager, though. I'm pretty sure I felt the same way you did about this one. It wasn't all action packed, but I appreciated the ideas that she put forth. This one was much more about the internal workings of the psyche, which I remember that I really liked. I need to read this one again. I am so glad to have read a review of Surfacing by Margaret Atwood. I felt as though I might have been the only blogger who has read and reviewed it (ill put my review link at the bottom). I enjoyed this but it wasn't what I had come to expect from Atwood. This might be because I had read mostly some of her later works. In hindsight (and having worked more extensively with people with mental illnesses) I wnder if this isn't portraying the protagonist sinking in to some paranoid delusion or schitzophrenia type illness. In any event, it was certainly striking how Atwood dealt with the internal workings of the protagonist. I'm going to admit that I had never heard of this novel until you announced that you were reading it. Sometimes my favorite reads end up being those that I had to make myself finish and then realize the complexity of the story at hand. Great review. I'll be looking for this one the next time I go on a book binge. This is a pretty good challenge concept by the way! I have this one on my shelf and I'm thinking I'll give a read next year. 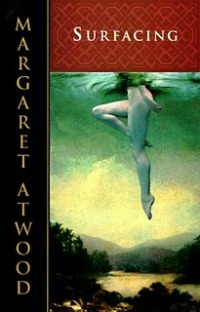 I want to read all of Atwood's works, too and figure her work is the kind I should savor and not rush through. So, like you I'm taking my time with all her tomes. I loved your honest post about this one - makes me look forward to it. Thanks! Becky, Thanks again for directing me to your review! I went ahead and left a response there. Jennifer, If you do read it, let me know what you think! Beth, Oh thanks! I decided to do it near the start of the year and since then have only read two more of her books. I'm hoping to read one more before the end of the year. Nadia, Happy to hear you plan on making your way through Atwood's works as well. What has been your favorite so far? This was my first Atwood read (assigned in college) and I remember nothing except trees. It didn't stop me from reading other Atwoods though! I've read 3 with 2 more on my shelves. I've found that Atwood's books sometimes have more impact long after i've finished them. I always think abou the characters and plot and then they grow on me. Carin, That is too funny because it's completely plausible. I know just what you mean about finding you appreciate some books even more a little while after you've finished them and had time to digest them. I've found that with some books lately, too, particularly with Peter Behrens's The O'Briens. I loved Surfacing both times I read it, though I think The Edible Woman is my favourite. I also loved The Robber Bride, her short stories, like Bluebeard's Egg, and Alias Grace. Also Cat's Eye, which you mentioned. I didn't love Lady Oracle, I think, or was it Life Before Man, as much as her others. I get those two mixed up for some reason. It's been a long time since I read Surfacing; it's interesting to see it again, but through your eyes. I've only read Surfacing, The Handmaid's Tale, and The Blind Assassin by Margaret Atwood. I liked Surfacing a lot ... the slowness seemed to fit the story and the mood of the book in a way I really enjoyed. I'm glad to hear that you liked Cat's Eye .. I have that on my shelf waiting for me.